American Standard heating and air conditioning systems offer the highest level of home comfort, at the lowest possible cost of operation. American Standard equipment and products are praised by consumer publications and meet or exceed all government standards for efficiency. Take a look at our systems, our products or even our American Standard Heating & Air Conditioning history timeline to learn the whole story. We take the worry out of home comfort. With an American Standard Allegiance air conditioner, you can glide effortlessly through a long, hot summer without giving your air conditioning system a second thought. High efficiency saves you money. It only makes sense to consider higher efficiency SEER rated products. For more than a century, American Standard has built heating and air conditioning products known for quality, reliability, and efficiency. You’ll rest easy all winter long knowing that an American Standard gas furnace provides the warmth needed to maintain a pleasant temperature in your home. If you want your home to be perfectly warm in the winter and perfectly cool in the summer, you need an American Standard heat pump. In the winter, the Heritage heat pump captures the heat that is always present in the outside air – even in the coldest of weather – and pumps it into your home. In the summer, it’s an air conditioner, pulling the heat out of your home and releasing it outdoors. American Standard heat pumps enjoy high Seasonal Energy Efficiency Ratings (SEER) and high Heating Seasonal Performance Factors (HSPF). With Mitsubishi Electric Cooling and Heating Solutions you’ll discover comfort without compromise. 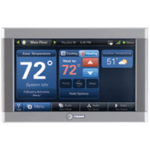 Beyond simply regulating the temperature within your space, individual room controls allow you to improve the efficiency of your entire home. Whether renovating your home or building a new one, in a hot or cold climate, you can end the struggle of cost vs. comfort: you use only the exact amount of energy needed to maintain comfort. With a wide range of ENERGY STAR qualified, whisper-quiet indoor systems delivering allergen filtration that actually cleans the air, Mitsubishi Electric systems are the right choice for your home comfort needs. Lowering your monthly utility bills has never been easier with Bosch’s Energy Star rated geothermal heat pumps. Geothermal heat pumps use the relatively constant temperature of the earth to provide heating, air conditioning, and hot water. The TA Water to Air Series is luxuriously designed holds the Energy Star as “2011 Most Efficient” award. The TW Series Water to Water Series is not only highly efficient but also some of the quietest in the market. 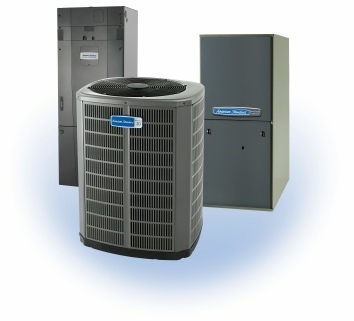 Your central air conditioning system consists of two parts. An outdoor unit and an indoor unit. The air handler is the indoor unit that circulates conditioned air throughout your home. An air handler paired with an air conditioner circulates cool air throughout your house during the summer months. 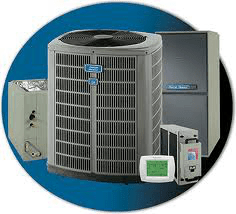 When an air handler is matched with a heat pump, it works all year long, circulating cool air in the summer, and warm air in the winter. The air handler consists of a coil and an air blower. The American-Lights® UV Air Cleaner is installed by Absolute Comfort inside the air duct of home or office HVAC systems and covers up to 5,000 square feet. By treating the air which passes through the HVAC systems with ultraviolet light, American-Lights® UV Air Cleaner effectively reduces or eliminates the DNA-based airborne contaminants bacteria, viruses, mold, and spores – that cause allergy, asthma attacks, sickness and other respiratory conditions. Ultraviolet light air cleaners have been used for decades. They have been tested and implemented by companies such as General Electric and Westinghouse. The UV light air cleaners are used in hospitals, laboratories, clean rooms, doctors’ offices, commercial buildings, food processing plants – any place a concern for clean air exists. With American-Lights® UV Air cleaner this exceptional technology is available to the homeowners also. Fight sicknesses such as common cold, influenza, measles, smallpox and tuberculosis. © 2019 Absolute Comfort Heating & Air Conditioning Lincoln NE Created by Quick Connect.